In a place where a leader showers kisses and calls first dibs on women, where God is painted stupid, and where “knock knock, who’s there” is answered by a gunshot to the head – everything is a joke. But PETA’s “Charot!” is all imaginary… right? And it has a hilarious punchline: Under a new charter, the Philippines will be united under the banner of federalism… Charot! Similarly, the artistic team includes up and coming talents as well as seasoned ones: J-mee Katanyag and Michelle Ngu (playwrights), Maribel Legarda (director), Vince Lim (musical director), Jeff Hernandez (additional songs), Ian Segarra (assistant director and choreographer), Boni Juan (set designer), Julio Garcia (set supervisor) Gio Gahol (costume stylist), Denise Nayve (associate costume stylist), Gerhard Daco (technical director), Jonjon Villareal (lights designer), and Ellen Ramos (video and animation). PETA’s “Charot!” runs from February 8 to March 17, 2019 at The PETA Theater Center, #5 Eymard Drive, Brgy. Kristong Hari, New Manila, Quezon City, with shows on Fridays (3:00pm), Saturdays and Sundays (3:00pm & 8:00pm). For inquiries and ticket reservations, contact PETA Marketing and Public Relations Office at Tel. No. 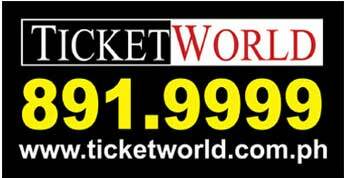 725-6244, TicketWorld at 891-9999, www.ticketworld.com.ph, or Ticket2Me at 721-0431 to 33 loc. 8109, www.ticket2me.net.